Kristen Bell collaborated with Williams Sonoma’s No Kid Hungry Tools for Change program to design an adorable sloth spatula to add to your registry. If you’re a lover of both tree-dwelling mammals and kitchen utensils, we have the perfect thing to add to your wedding registry. Everyone’s favorite funny lady Kristen Bell has partnered up with Williams Sonoma’s No Kid Hungry Tools for Change program to design a sloth-inspired kitchen utensil. The white rubber spatula features an illustration of the lethargic animal alongside the words “slow cooker.” Punny, right? The slothtastic spatula is currently available for $13 on Williams Sonoma, and 30% of the profits go to No Kid Hungry. So if you need a new baking buddy to hang out with (get it?) add this guy to your registry. 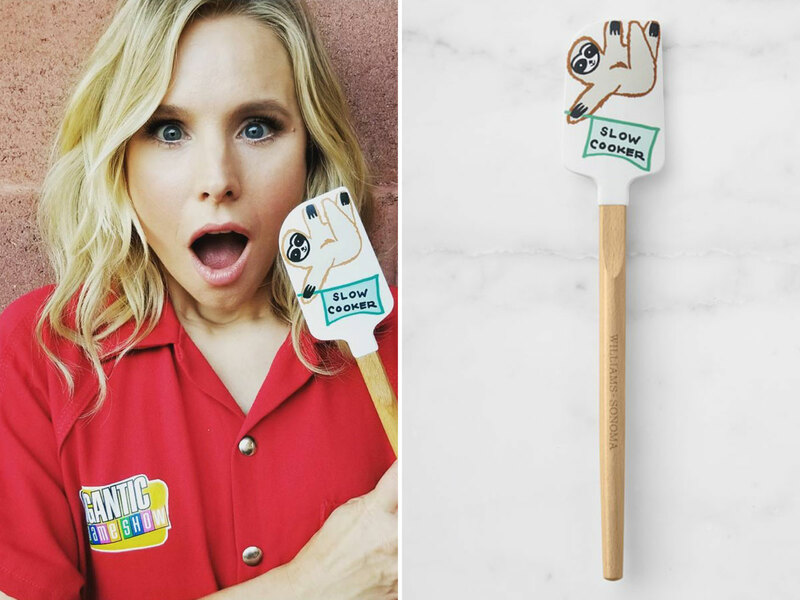 Be the first to comment on "Kristen Bell Designed a Sloth Spatula and It’s Perfect for Your Registry"